The semester is in full swing, homework is piling up and college students are trying to make ends meet without going to class on an empty stomach. If you are like me, most of your paycheck each month goes to rent and bills, and you begin to wonder how the measly amount left over will be able to cover groceries for the week. At this point, many students may resort to the classic “rice and beans,” but by taking inspiration from Japanese cuisine, you can transform your ordinary rice into delicious, on-the-go lunches. 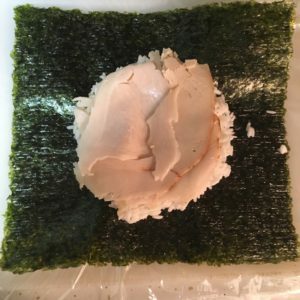 Onigirazu, or often referred to as a “sushi sandwich,” was a fad in Japan a couple years ago that quickly became integrated into the culture. This variation of Japanese onigiri (or otherwise known as a rice ball) is easy to make and great for students on the go. Choose your own fillings to make the meal even more delicious. 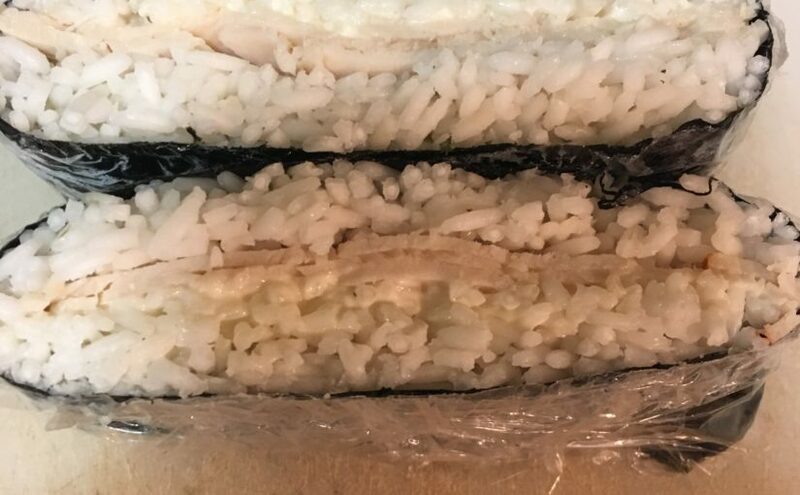 The ingeniousness of onigirazu is that it can be made with more untraditional fillings than onigiri, as it is all held together by nori (seaweed) in the end. 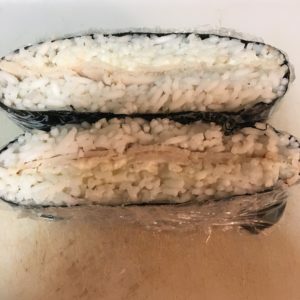 There are many options for filling the onigirazu; some great ideas include tuna and lettuce, fried egg and ham and bologna and cheese, but generally you can use whatever you have on hand. Onigirazu is easy to wrap up and quick to take to class. Lay out a sheet of cling wrap that is just bigger than the sheet of nori, and place the nori with the shiny side down. Place a large spoonful of rice in the middle of your nori. Pile your fillings on top of the rice. Add another spoonful of rice on top of your fillings. Fold in your nori around your rice and fillings as if you were wrapping a present. Secure the parcel with cling wrap and allow for the nori to soften before cutting down the middle with a knife. Eat right away or pack for a later meal.